This web site is directed solely at those who access the site from the United Kingdom. Those who choose to access this site from other locations are responsible for compliance with local laws if and to the extent local laws are applicable. Dave Woolass Fine Art makes no representation that any product or service referred to in this web site will be available or appropriate for use in other locations. Access to this web site may be suspended, restricted or terminated at any time. We accept no responsibility for the web sites or other information, practices or products of other parties linked to this web site. Your dealings with persons found via this web site are between you and such persons and we will not be liable for any loss or damage arising out of such dealings. If any of these terms or disclaimers shall be unlawful, void or for any reason unenforceable then that provision shall be deemed severable and shall not affect the validity and enforceability of the remaining provisions. 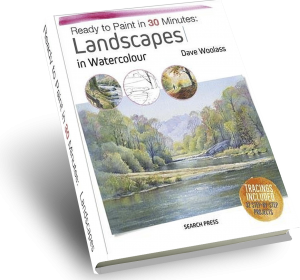 The products supplied from this web site are supplied by Dave Woolass Fine Art and shall be referred to as “Dave Woolass Fine Art”, “we”, “us”, or “our” throughout this web site. All communications including advertisements made by Dave Woolass Fine Art and all information on this website are invitations to treat only and are not offers or unilateral contracts. Your submission of an order represents an offer to purchase the products indicated by you, and is not binding on us until we have notified you that the order is accepted and the goods have been despatched by us. This means that if a product is shown on the web site but is not available or is incorrectly priced or otherwise incorrectly described, Dave Woolass Fine Art shall not be obliged to sell you that product. Dave Woolass Fine Art may collect and process information about you to better understand your needs, how we can improve our products and services and for other purposes. We may notify you about Dave Woolass Fine Art products and services, changes to the web site or other information. If you would rather not receive any information from us, please send an e-mail to us advising us not to send any other Dave Woolass Fine Art information, using the e-mail form on this web site. Dave Woolass Fine Art/www.artdw.co.uk does not sell, trade or rent your personal information to others. We may choose to do so in the future with trustworthy third parties. If you do not wish your information to be passed to third parties, please send an e-mail to us advising us not to disclose information to third parties, using the e-mail form on this web site. 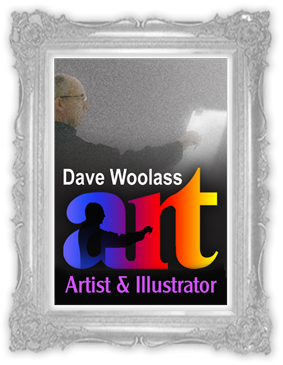 All rights including without limitation copyright, design and trade mark rights in the web site are owned by Dave Woolass Fine Art. Dave Woolass is a registered trade mark of Dave Woolass Fine Art. Other product, brand and company names mentioned on the web site may be trademarks or registered trademarks of their respective owners, and you agree to comply with any notices pertaining to these or drawing them to your attention. By sending us your thoughts for example about what you would like to see on-line, you acknowledge that we may use them at any time and in any manner we wish, free of charge. We reserve the rights to change, modify, remove or substitute without notice any information shown on the web site or any other web site owned by Dave Woolass Fine Art from time to time. Prices and availability of goods are subject to change. Nothing in this disclaimer applies to any products which you purchase from Dave Woolass Fine Art. Dave Woolass Fine Art does not control, endorse and is not responsible for the availability or content of any third party websites available via this website through a link, or for any services or product you buy through such websites. All content and services on this website are provided on an “as is” basis and Dave Woolass Fine Art does not make any representation or give any warranty in respect of the website and its content. In particular, Dave Woolass Fine Art does not give any warranty as to the accuracy, suitability, reliability, completeness, performance, fitness, freedom from viruses or timeliness of the content or services contained on this website. Dave Woolass Fine Art will not be liable for any damages (including without limitation loss of profit or loss of use) arising out of your use or delay or inability to use the website, its content or any link to another website arising in contract, tort (including negligence) or otherwise except in the case of death or personal injury caused by Dave Woolass Fine Art’s negligence. Reference in these terms and disclaimers to Dave Woolass Fine Art shall include its successors and assigns.